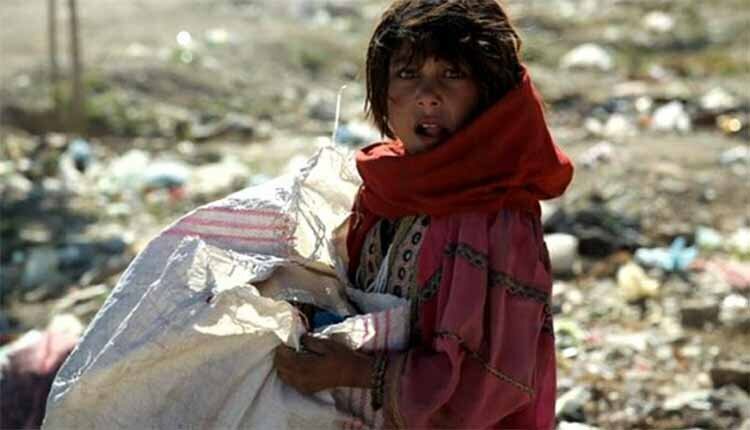 Seven million: That’s how many children are involved in the worst forms of child labor in Iran, including prostitution, handling of hazardous materials, and heavy labor. On the World Day Against Child Labor, Iran HRM reports on the situation of child laborers in Iran. Despite international efforts to eradicate child labor and while the world’s child labor rates have fallen by a third since 2,000, the phenomenon of child laborers has remained rife in Iran. Millions of children are either sold or sent off to work by their impoverished families. Poverty imposed by the regime is driving parents to such measures in order to keep themselves above water. To repay their debts or gain meager sums of money, some poor families rent their children as young as five and less who might experience years of violence and abuse. These children work as breadwinners, losing their only opportunity of childhood as they toil along the highways and streets, amidst the smoke and commotion or in sweatshops. Iranian society is all too familiar with images of child laborers. Children are frequently seen working as vendors, cleaning car windscreens, or working on farms and in factories. Most of them have dropped out of school. Under the regime’s laws, children under 15 are not allowed to work and no child can be employed in a hazardous job that poses a risk to his/her health or life. The law also sets special conditions for the work of children aged 15 to 18 years, however they are ignored by government institutions. June 12 is the World Day Against Child Labor to raise awareness on this issue and prevent the spread of this deplorable phenomenon. Iran Human Rights Monitor attempts to shed light on a small portion of the grim reality of Iran child laborers. Official statistics show at least 30% of these children don’t go to school, 31% are aged between 6 to 11 and 9% are actually below the age of 6. Unbelievably, 60% of these children are their families’ only source of income. Although Iran has officially banned the practice, the state institutions use under age children as workforce. The municipality contractors recruit children aged 5 to 15 as cheap work force for cleaning the city or waste management. Some contractors hire children mainly because they can pay them 70% less than the adult workers; also, due to their very young age, they are unaware of their rights as humans, let alone as workers. This makes it very easy for many contractors and investors to continue exploiting children for all kinds of heavy labor. To see his playing with his friends, Aziz seems much like any other child. But the 12-year-old boy has led a very different existence. Aziz’s ordeal began many years ago when he was forced to collect trash for 19 grueling hours a day. He says he had to work from 6 a.m. to 12 p.m. every day, with barely any breaks, not knowing where he will end up. “We wake up at 10 a.m. and start scavenging the trash at 11 a.m. We come back to the garage at 12 midnights. Then we should divide different types of garbage. We can sleep only from 6 to 10. We eat lunch at 10 and start again,” he says. Research shows 45% of Iran child laborers and those living on the streets suffer from illnesses such as AIDs, hepatitis and others. They also suffer from malnutrition, shortness, low weight, skin diseases and psychological disorders. Many such children work at least 6 hours a day and don’t eat even a single decent meal, putting them at greater health risks. A large number of these children are seen carrying heavy loads causing them back problems at an early age. And since they have no access to medical care, such illnesses pave the way for further problems down the road. Child panhandlers are sometimes intentionally disfigured to attract more money from passersby. They may be beaten if they don’t manage to collect enough money. Hundreds of children have also been forcibly recruited by gangs to work as couriers of drugs. Speaking to the state-run ILNA news agency, Sarah Rezaie, a member of the so-called Imam Ali Society, described how some children are forced to swallow drug packages to transfer them across the border. After they cross the border, they excrete them. Many have died in the process, Rezaie said. Sousan Maziarfar, another member of the Imam Ali Society, revealed that many of the children working in garbage dumps are not only subjected to various infectious diseases, but are also wounded by rats chewing their faces, fingers, and toes. Despite so much suffering and a long slate of risks continuously threatening their lives, these children receive only one-fifth of a normal worker’s salary and have no support if they are injured or wounded. Let us not forget that while Iranian children are suffering greatly, the Iranian regime allocates billions of dollars to fund its war efforts in various countries in the Middle East. It also spends billions of dollars on its military organs, state radio and television, and religious institutions for propaganda.